When you spend a lot of time in front of your computer, the annoying beeps start to drive you mad after a while. 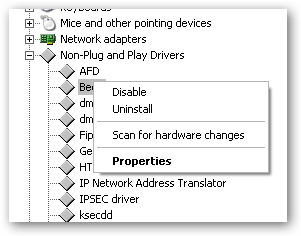 I really don’t need to be told that I hit the wrong key anymore, so I’ve compiled a list of how to turn off all the system beeps in Windows XP. One of the most irritating beeps happens when you use the Volume control… but there are other beeps, such as on error dialogs or when you hit the wrong key. 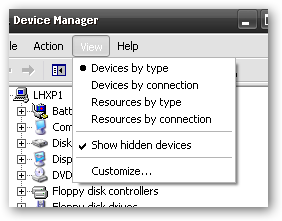 Open up Device Manager by right-clicking on Computer and choosing Properties, then on the Hardware tab you’ll find the button for Device Manager. Select View \ Show hidden devices from the menu. When it prompts you to reboot, select no, and then right-click again and choose Properties this time. 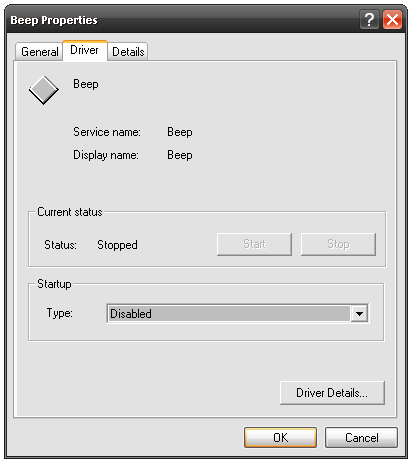 On the Driver tab, change the Startup type to “Disabled” and then click the “Stop” button if you are able to. 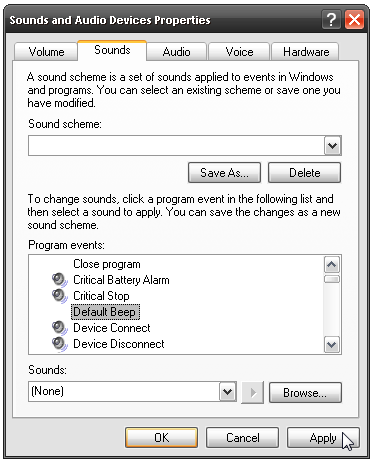 This should disable the system beep speaker, but it probably won’t change the volume control beep, so continue on. Find the “Beep” key on the right-hand side and change the value to “no”. Open up Control Panel and find the Sounds and Audio Devices panel, choose the Sounds tab and then find “Default Beep” in the list. Change the sound drop-down on the bottom to “None” and then click Apply. 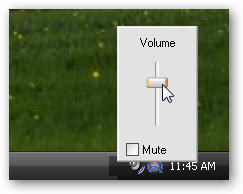 This should disable the volume control beep. You’ll want to also change Critical Stop to “None” as well, and should probably also turn off some of the other items. You can also use TweakUI to get rid of some of the beeps, but if you follow the items on this page you shouldn’t need that.